What Mr. Corbett and Mr.Fikkert fail to tell you is that, in fact, homeless people are people. We do not look at them from a economic point of view, but a human point of view. If you give a homeless person on the street exactly 3$ then you make think that it didn’t help their situation at all and you wasted your money, but what it really means is that the person then has 3$ worth of food they can acquire. Even if you are for a developmental strategy for helping the poor, than doesn’t mean that all charity is in vain. Of course you can petition to have community shelters built for the homeless, or have a connect program to bring them food, but in the meantime where will they eat? Where will they live? The homeless are not thinking how to become rich or how to make it big, that mentality has fled them, instead they are thinking how to get their next meal and where to sleep that night. The authors fail to mention that poverty is not the failure of the soul or relationships, but the failure of the economy. A person doesn’t become poor because they haven’t come to terms with themselves, they become poor because that’s the way the world is. Poverty is an inevitability. There will always be the impoverished in our system, that’s basic economics and they never mention that. Rehabilitation does nothing to fix the problem because the problem is much larger than just the individual person. In fact the least we can do is to help out our fellow man by sparing a few bucks or buying them a meal. Saying it hurts them to do so is just ignoring the problem and hoping it will go away. Giving someone the means to feed themselves or finding shelter is not hurtful, it is just human. Thank you for sharing your perspective. I agree with you on many points. 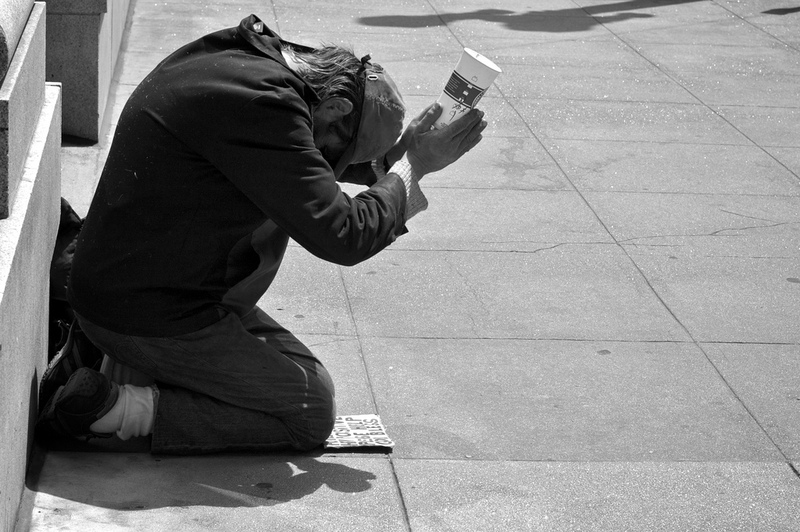 The poor and homeless are people, and Jesus showed deep compassion for them. Charity is another translation of agape love, which is the focus of the famous 1 Corinthians 13. We are all called to be charitable with our fellow humans, and there will be many times when we will need to receive charity from others. Unfortunately, the failure of summarizing a book is that I cannot communicate every point. I tried my best to boil down the major points that made the most impact on me. The authors expressed much more than what I’ve chosen to share. But I hope my meager blog post has stirred your curiosity enough to pick up the full-length book. I believe the authors sufficiently answer your concerns and agree with you that generosity is necessary. Where they would differ is in saying that relief is often misapplied to a situation where development is best suited. Temporary relief cannot provide long-term improvement. And in some cases, it can be crippling for a poor person’s empowerment and the giver’s humility. In their book, Corbett and Fikkert explain with further details and examples how they’ve reached their conclusions. I encourage you to read their own words rather than my attempt to explain their theories. Please forgive me if I have misrepresented them in any way.